Empower staff with world-class personal and professional development. 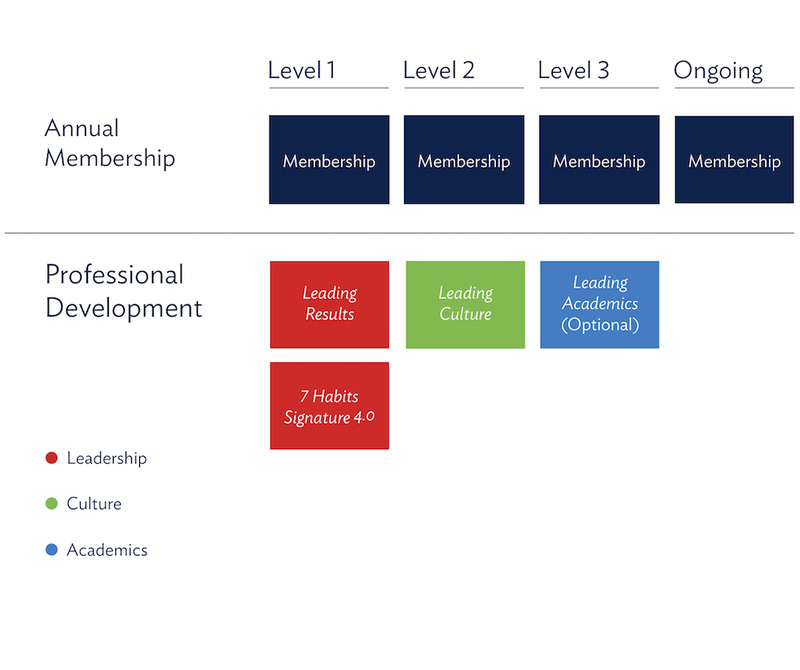 Explore the process map, which outlines professional training and development for staff during each level of implementation and the ongoing benefits of Annual Membership. Empower staff with world-class personal and professional development opportunities. During the initial stages of Leader in Me implementation, all staff become united through a new leadership culture that is supported by the 5 Core Paradigms. Administrators and staff participate in training workshops for personal improvement and professional learning that provide time for reflection, renewal, and envisioning a future guaranteed to achieve results. The training has made my life better. I’m now teaching my own child at home about living the 7 Habits. 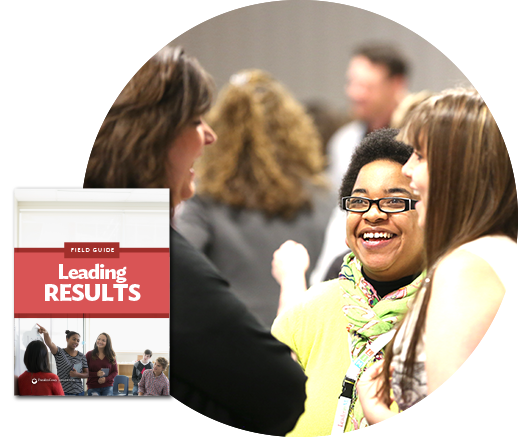 Gain a new leadership paradigm and learn foundational concepts that lead to successful schoolwide implementation of Leader in Me. 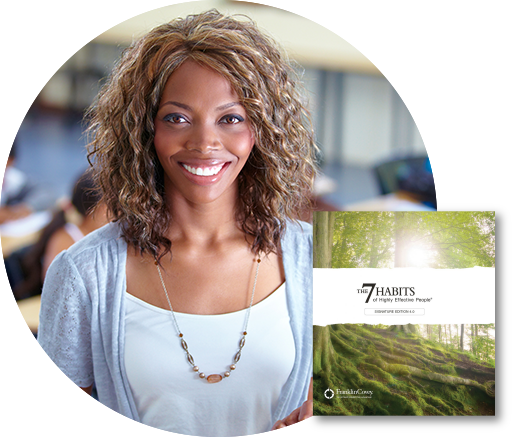 Renowned as the world’s premier personal-leadership development solution, 7 Habits of Highly Effective People®: Signature Edition 4.0 aligns timeless principles of effectiveness to educators both personally and professionally. 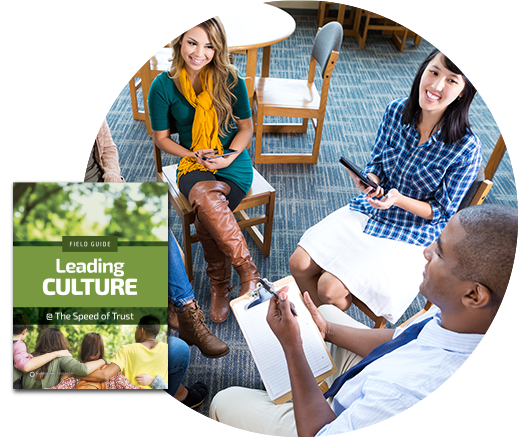 Empower students to create a culture of leadership and improve their learning environment. Explore a variety of optional training workshops to develop staff members, based on top priorities for high school teachers and administrators. Annual Membership provides ongoing training and development to help Leader in Me Schools achieve sustainable results. 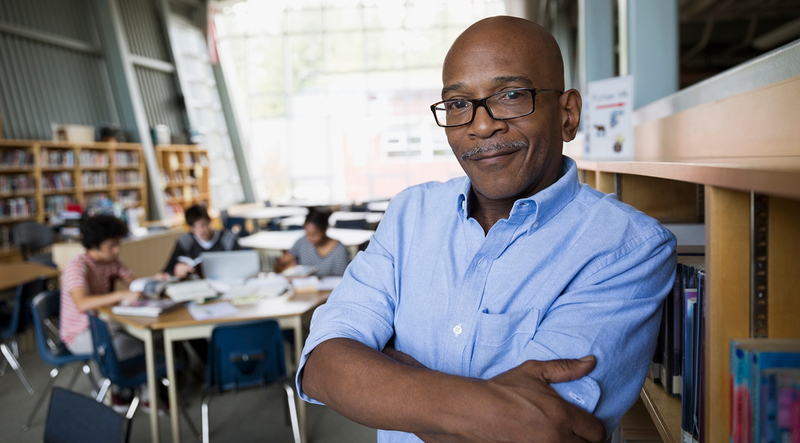 As a licensed Leader in Me School, administrators and staff benefit from continual one-on-one coaching sessions that help schools achieve measurable results. 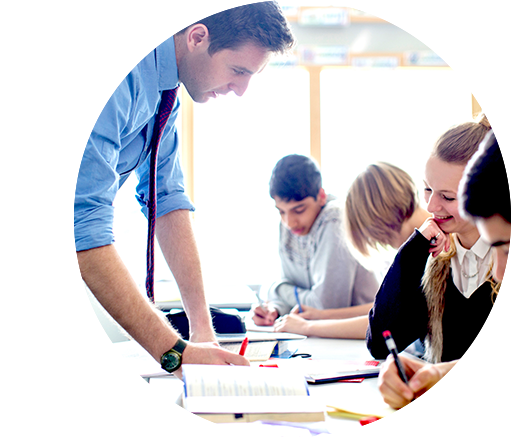 In addition, schools can select a variety of optional training workshops and targeted coaching sessions based on its specific needs, ensuring personalized, curated learning opportunities on every topic. Core Coaching Sessions are included with an Annual Membership and help align the implementation of Leader in Me to the school’s top priorities. Take advantage of exclusive web-based training, resources, networking, and ongoing support available to the Leader in Me community. Is Leader in Me Right for You?